HEATING AND DOMESTIC HOT WATER. 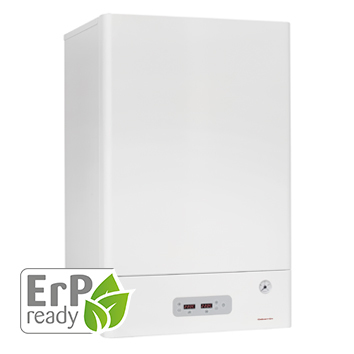 Elnur presents Mattira, the new electric boiler range to cover your Domestic Hot Water and Heating needs. Mattira is the ideal option when a totally safe and reliable efficient central heating system is required. It is the perfect solution for properties with no access to a mains gas supply or homes which have gas boiler restrictions. With this new range of digital electric boilers, GABARRÓN offers you the opportunity to enjoy the safety and convenience of electricity. Mattira is the ideal option when a totally safe, reliable and efficient central heating system is required. 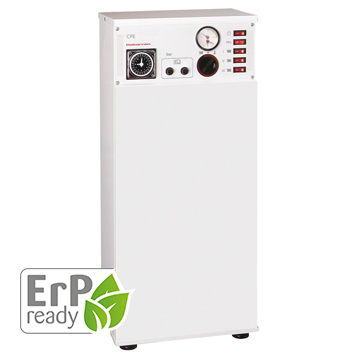 Our digital electric boilers are the only ones on the market that regulate energy consumption according to the heating needs of the installation, taking into account not only the ambient temperature, but also the external temperature. Mattira ensures the optimum comfort in your home, with the maximum running cost savings thanks to its Modulation and AutoHeating Regulation features. The modulating feature of our electric boilers is managed by a Smart Electronic Modulating System (SEM) (Smart Electronic Modulating system). It applies TRIAC technology combined with an external chrono thermostat to continuously adapt the heating capacity to the heating needs of the premises, thus achieving 100% energy efficiency and overall savings in energy costs. Another feature managed by the SEM System is the Heating Modulation. It is possible to regulate the temperature at which the boiler drives the water heating circuit depending on the outdoor temperature.This method of regulation provides maximum comfort as it anticipates changes in the thermal needs of the house. These features and the fact that, Mattira electric boilers modulate in steps of 1 kW, reduce any possibility of energy waste to the minimum offering you the maximum comfort in your home. These boilers can be installed on single or three-phase electric supplies by using a bridge included with the boiler. All Mattira electric boilers can be limited to any output between 3 and 12 kW on single phase supplies and up to 18 kW on three-phase supplies. None of our boilers emit gases or direct pollution when operating. They do not operate using fuels such as gas or diesel and there is therefore no risk of leaks or explosions. The advanced control board on the boiler will automatically modulate the heating output to the demand required to save energy. This modulating feature of GABARRÓN electric boilers is managed by a Smart Electronic Modulating system (SEM system) which re-calculates every 20 seconds in order to regulate the consumption depending on the real heat demand. It applies TRIAC technology combined with an external chrono-thermostat to continuously adapt the heating capacity to the heating needs of the premises, thus achieving 100% energy efficiency and overall savings in energy costs. Additionally, it is possible to regulate the temperature at which the boiler drives the water heating circuit depending on the outdoor temperature. This method of regulation provides maximum comfort as it anticipates changes in the thermal needs of the house. The room thermostat continues to regulate the temperature inside the house. The connection of an external temperature sensor is required to activate this mode. 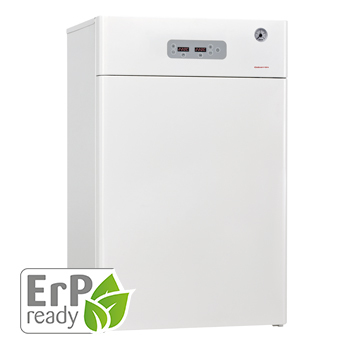 The new Mattira Combi Boilers include our “Legionella Protection” system. If this function is activated, the DHW temperature is raised once a week to the maximum allowed, preventing Legionella growth through water temperature control. It is possible to select an anti-freeze mode for frost protection during periods of inactivity. By selecting the frost protection mode, the heating system will activate automatically if the boiler temperature falls under 8ºC. Mattira boasts an intuitive and user friendly digital display. The digital display constantly shows the temperature of the circulating heating water and of the domestic hot water tank (DHW) in combi boilers. Heating and DHW are independent modules, this means that we can turn off the heating and only keep the DHW or vice versa. In both displays the keyboard lock can be activated to avoid changes being made. 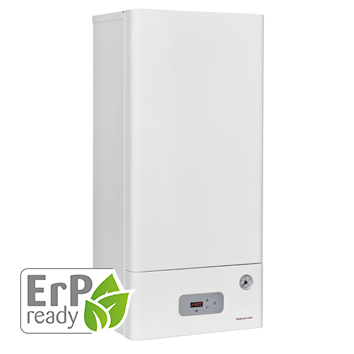 Gabarron Mattira electric boilers come fitted with all the components required to operate the unit, including a template for an ease of installation. Installation is quick and easy and can usually be completed in a single day. The objective is to reduce adverse and greenhouse gas emissions to limit the environmental impacts throughout the life-cycle of a product, with emphasis placed on the design and development stages of a product with a view to improving its energy efficiency. CPE electro mechanic range also includes all the components required for installation and operation, it is manufactured in one case with steel cover stove finished in epoxy powder coating. The position of the heating elements allows operation at a low temperature, which means the electrical connections do not overheat, thus eliminating any damage to the elements. Only floor standing versions are available.